Chapter 2 of Old Manolis and the Sea tells the tale of the 2nd wave of community engagement around the issue of the Manolis L. As more people have learned about the project they have donated their time and creativity thereby expanding its reach across the country. One major contributor is Mo Wren, a visual artist based in New Brunswick who makes art that is both lost and found; she uses found objects to create art and abandons art to be found. Mo Wren took to the campaign like a fish to water, creating multiple starfish as well as a ‘zine’. From this creative union, the story of Old Manolis and the Sea is easier to grasp (pun intended), and totally free to roam across the Great White North. It is a great pleasure to welcome her to the gang. 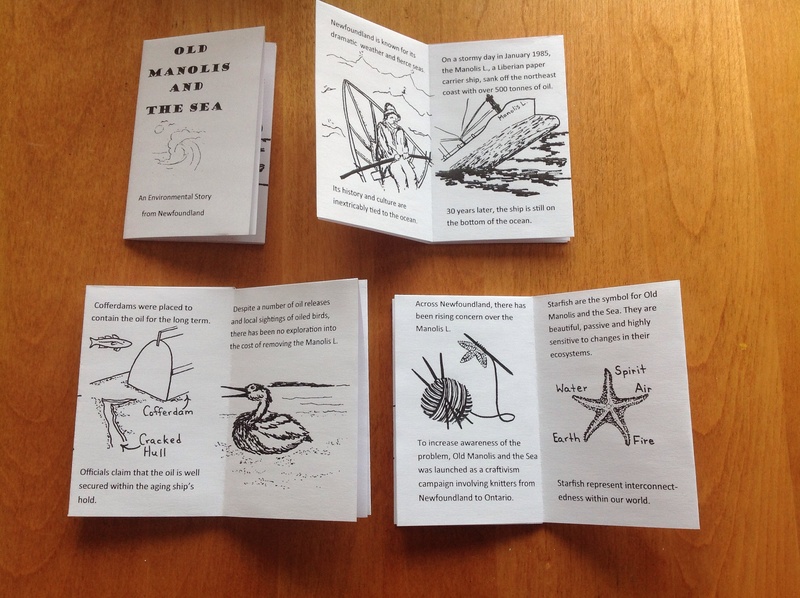 These zines were left behind in many Twillingate shops and restaurants during Festival week and one is rumoured to be in a geo-cache on the island. But where Twillingate is an island, off an island, off the island of Newfoundland we are somewhat isolated, hence our excitement to jump the ‘pond’ and hit the Mainland. 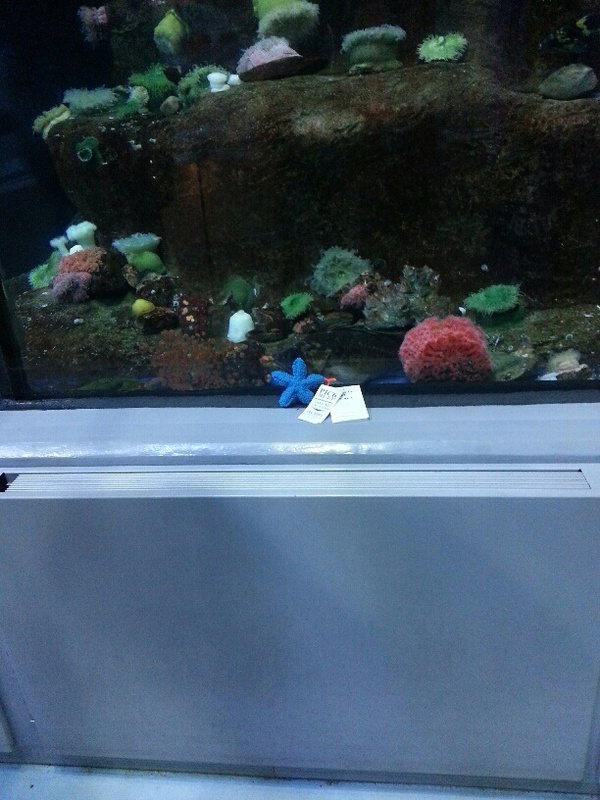 Thanks to a couple particularly adventurous souls, including Mo Wren’s, starfish and zines are now popping up in other provinces. Stay tuned for more news and pics as this yarn-storm sweeps the nation! 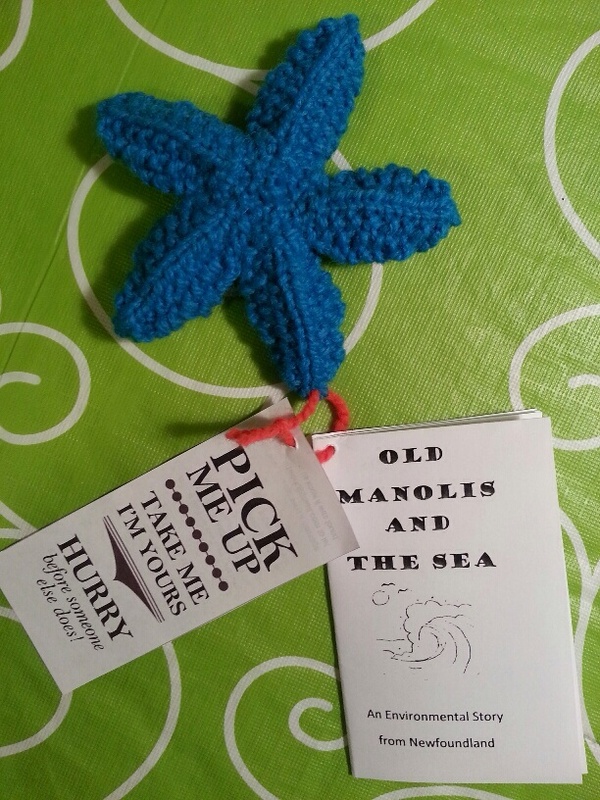 And of course, if you feel engaged by the story of Old Manolis and the Sea, you can get involved by yarn-bombing your own community (please send pics) or printing off an Old Manolis Zine and leaving in places of relevance. Instructions for both can be found here.